Tensador II G+ Canvas Stretcher is a economical canvas stretcher with gallery wrap option already installed. The standard of the industry for over 10 years. 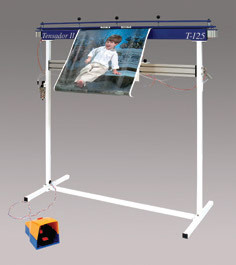 The Tensador II G+ is a canvas stretching machine that will quickly and easily stretch canvas and do gallery wraps in just minutes. The simple efficient design and quality construction make the Tensador II a real workhorse. Even the difficult, but increasingly popular gallery wrap can be stretched in minutes due to the simple design of this workhorse. 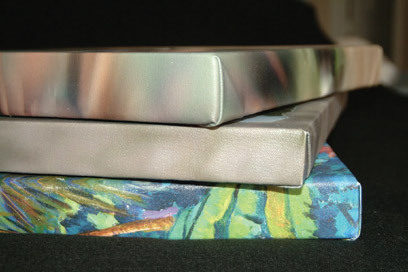 Canvas can be stretched on any size stretcher bars without those cumbersome stretching pliers. The Tensador II G+ assures even tension and delivers perfect results every time. Available in 48” and 60” versions. A professional air operated stapler and staples are included.